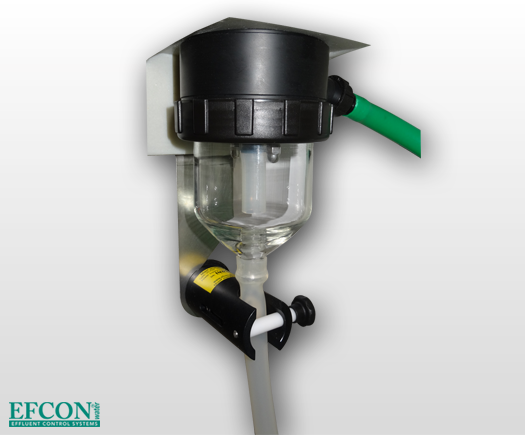 Efcon® Vacuum Samplers are equiped with reliable basic hardware and standard electronics. The complete design is focussed on long term reliable sampling with minimum drop out. Contact level indicator functions on a minimum wastewater conductivety of 50 m/s. When the conductivety drops to deep (in case of demi or pure rain water), an optional capacity switch can be added to create a full functioning level detection system. A vacuum sampler need regular cleaning of the sampling head. Dowload the Efcon® Vacuum Sampler Datasheet (PDF) to discuss it with your colleagues via e-mail or a printed version. Efcon® Water offers full support with annual service and on site support in The Netherlands & Belgium. Throughout Europe we support several specialised distributers. Spare parts of the vacuum sampler are in stock at our distributers but can also be shipped globally with UPS, DHL, Fedex etc.